If your organization follows the financial periods to track the labor hours from project and non project work, you should define financial periods. 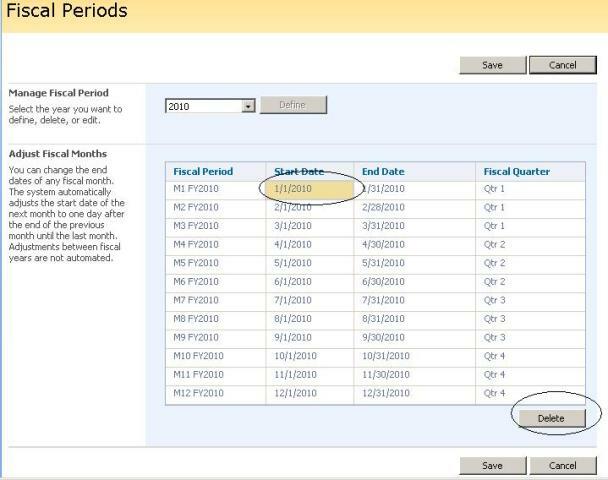 Define financial periods to match your organization�s fiscal calendar. 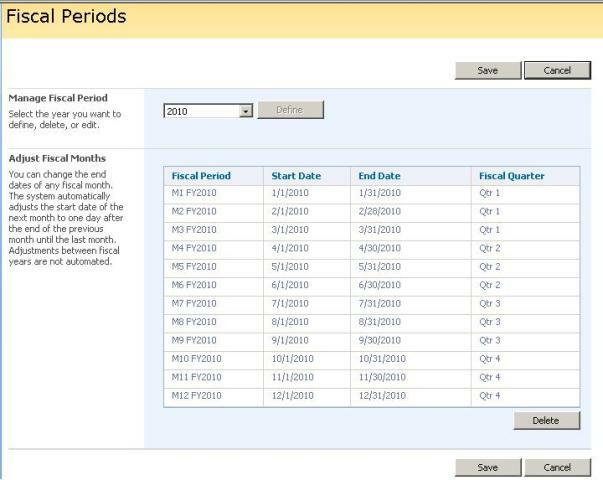 The system creates Financial Periods according to specifications entered above, and the periods displayed as in Fiscal Periods page. 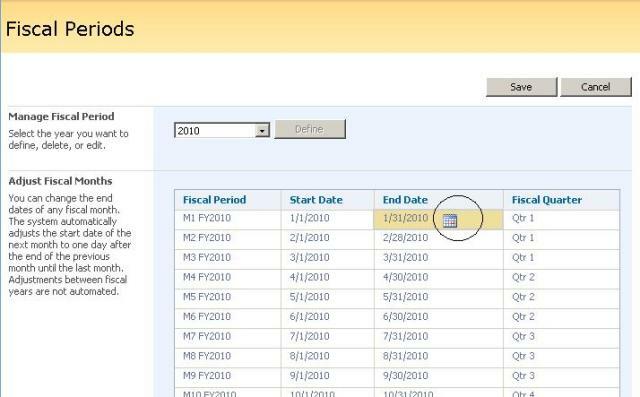 If you would like to start/end date of the first fiscal period, you can edit the date by clicking the cell. 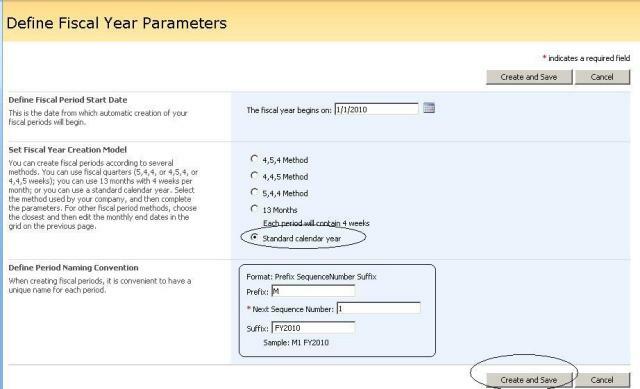 Date Picker will be displayed to select the desired date. Once you select the date and click �Save�, the following period dates will be adjusted automatically. 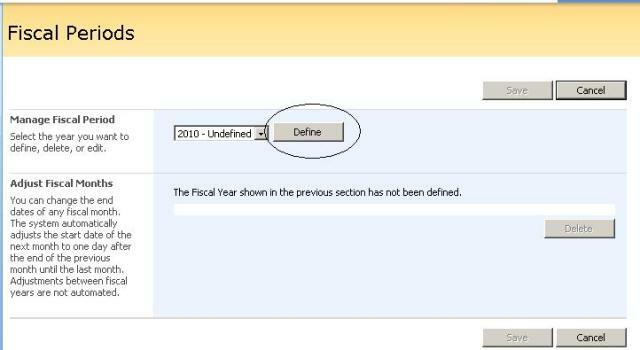 If you want to redefine the fiscal period further because of a mistake you made, you need to first select the period, and then delete it by clicking Delete, and then redefine it by clicking Define.